← Why do you need an attorney for your Outdoor Recreation business? Morgan Kelly, Pamela Kelly, and Terry Kelly, Plaintiffs, v. United States of America, Defendant. COUNSEL: [*1] For Morgan Kelly, Pamela Kelly, Terry Kelly, Plaintiffs: Steven Michael Stancliff, LEAD ATTORNEY, James L. Chapman , IV, Crenshaw, Ware and Martin, P.L.C., Norfolk, VA.
For United States of America, Defendant: Matthew Lee Fesak, R. A. Renfer , Jr., LEAD ATTORNEYS, U.S. Attorney’s Office, Raleigh, NC. JUDGES: LOUISE W. FLANAGAN, United States District Judge. This matter comes before the court on defendant’s motion for summary judgment pursuant to Federal Rule of Civil Procedure 56. (DE 93). This matter has been fully briefed, and the issues raised are ripe for review. For the following reasons, the court grants defendant’s motion. The court refers to and incorporates the case history provided in previous orders, including its recent order on defendant’s motion to dismiss plaintiffs’ claims for gross negligence. Kelly v. United States, No. 7:10-CV-172, 2014 U.S. Dist. LEXIS 114376, 2014 WL 4098943 (E.D.N.C. Aug. 18, 2014) (“August 2014 Order”). Pertinent to the instant motion, plaintiffs commenced this action on September 2, 2010, pursuant to the Federal Tort Claims Act (“FTCA”), 28 U.S.C. §§ 2671, et seq., seeking damages in excess of ten million dollars ($10,000,000.00) for injuries allegedly suffered by plaintiff Morgan Kelly, daughter of plaintiffs Terry and Pamela Kelly. The [*2] court previously issued an order August 11, 2011, granting in part and denying in part plaintiffs’ motion to strike, in particular allowing defendant to raise the affirmative defense that plaintiff Pamela Kelly had waived plaintiffs’ claims. Kelly v. United States, 809 F. Supp. 2d 429, 437-38 (E.D.N.C. 2011) (“August 2011 Order”). On November 25, 2013, defendant filed the instant motion for summary judgment, which also included the motion to dismiss plaintiffs’ gross negligence claim. Plaintiffs responded in opposition on February 27, 2014, and defendant replied on March 13, 2014. Plaintiffs’ memorandum in opposition included a motion pursuant to Federal Rule of Civil Procedure 56(d) for additional discovery regarding the use, allocation and disposition of monies received from Navy Junior Reserve Officer Training Corps (“NJROTC”) cadets in exchange for the cadets’ attendance in the July 2007 orientation visit at issue in this case. The court granted plaintiff’s motion on March 31, 2014, and subsequently issued an order on scheduling directing the parties to complete the additional discovery by May 30, 2014. Plaintiffs were given until June 13, 2014, to file a supplemental brief in opposition to the government’s motion. However, the deadline passed without such brief being filed. On August [*3] 18, 2014, the court granted defendant’s motion to dismiss. The order noted that it did not address the motion for summary judgment on plaintiffs’ remaining claims. August 2014 Order, 2014 U.S. Dist. LEXIS 114376, 2014 WL 4098943, at *1, n. 1. This motion comes now before the court. In July 2007, plaintiff Morgan Kelly, then fifteen (15) years of age, was a cadet in the NJROTC program at her high school. Plaintiff Morgan Kelly’s twin sister, Magan Kelly, also was a NJROTC cadet. The NJROTC program included an orientation visit to United States Marine Corps Base Camp Lejeune (“Camp Lejeune”). In consideration of the privilege of participating in an organized event in a training area at Camp Lejeune, North Carolina, and further recognizing the voluntary nature of my participation in this event, I, the undersigned person, intending to be legally bound, hereby promise to waive for myself, my guardians, heirs, executor, [*4] administrators, legal representatives and any other persons on my behalf, any and all rights and claims for damages, demands, and any other actions whatsoever, including those attributable to simple negligence, which I may have against any of the following persons or entities: the United States of America . . . which said injuries arise out of my participation in the activities comprising the aforesaid event; as well as any use by me of any Marine Corps Base, Camp Lejeune, North Carolina, or government equipment or facilities in conjunction with and furtherance of such participation by me. I FURTHER VERIFY THAT I HAVE FULL KNOWLEDGE OF THE RISKS ASSOCIATED WITH ATTENDING THIS EVENT. I EXPRESSLY, KNOWINGLY, AND VOLUNTARILY ASSUME THE RISKS INVOLVED IN THE PLANNED ACTIVITIES INCLUDING TRANSPORTATION TO AND FROM THE EVENT, AND AGREE TO HOLD THE UNITED STATES HARMLESS FOR ANY RESULTING INJURY. I understand that this assumption of risk agreement shall remain in effect until notice of cancellation is received by the Commanding General, Marine Corps Base, Camp Lejeune, North Carolina. I understand that, should I decline to execute this agreement, I will not be permitted to attend the organized [*5] event. Below this language, the form provided lines for the signature and printed name of the minor participant, along with lines for the signature of a parent or guardian, “on behalf of” the minor. Morgan and Magan’s mother, plaintiff Pamela Kelly, signed the form, believing that she was signing it for Magan. She left the blanks which required Magan’s name for Magan to complete. However, plaintiff Pamela Kelly did not sign a form for her other daughter because plaintiff Morgan Kelly originally planned to attend a sailing trip in Florida at the time of the orientation. Subsequently, plaintiff Morgan Kelly’s sailing trip was cancelled, and she joined the orientation visit. She signed and printed her name onto the Liability Waiver in the spaces that her mother had left for Magan Kelly. 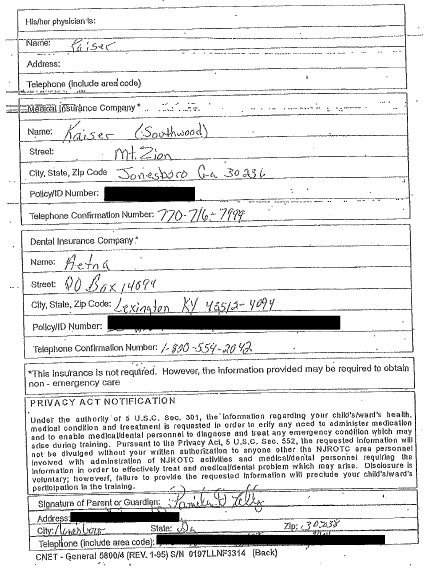 The Liability Waiver, in its unredacted format, includes Magan Kelly’s social security number, but it is unclear how this number appeared on the form or who wrote it. The Liability Waiver does not otherwise mention Magan Kelly. It is unclear whether a separate form was submitted for Magan Kelly or whether she attended the orientation. While planning the [*6] orientation visit, Operations Specialist Frank Acevedo (“Acevedo”) sent a packet of information to plaintiff Morgan Kelly’s high school, including a list of training activities and a brief description of an obstacle course challenge known as the “Confidence Course.” However, neither plaintiff Pamela Kelly nor plaintiff Terry Kelly received a copy of this information packet prior to the orientation visit, and neither parent otherwise communicated with Acevedo or any other government representative from Camp Lejeune before the orientation visit. 1 Although plaintiffs’ memorandum in opposition questioned defendant’s characterization of how the money received from students was used, plaintiffs failed to renew any challenge or provide any support for such a challenge after the court granted their request for additional discovery [*7] on the matter. As such, the court finds that plaintiffs do not object to the government’s description of the collection and use of money from the NJROTC cadets. On July 27, 2007, plaintiff Morgan Kelly, along with the other cadets, completed two obstacle courses prior to undertaking the series of obstacles known as the “Confidence Course.” Before the cadets completed the Confidence Course, two Marine instructors from the School of Infantry provided preliminary instructions, the content of which is disputed.2 The final obstacle of the Confidence Course, called the “Slide for Life,” was a climbing apparatus. Defendant knew that the Slide for Life posed a substantial risk of death or serious bodily injury if it were not successfully negotiated. However, defendant did not assess plaintiff Morgan Kelly’s physical capabilities before she climbed the Slide for Life. Nor did defendant provide any safety harnesses, restraints, or other protection systems that would prevent her from falling. While attempting to climb the Slide for Life, plaintiff Morgan Kelly fell and suffered injuries. 2 Defendant asserts that the instructors “provided a safety brief and a demonstration of how to navigate each obstacle,” [*8] (Def.’s Mem. in Supp. at 1-2) (DE 94), while plaintiffs assert that Marine instructors provided only a “walk-through” of the course, without safety warnings. (Pls.’s Mem. in Opp. at 4) (DE 101). 3 Plaintiffs’ arguments in opposition to the motion for summary judgment raise several issues addressed by the court in its August 2011 Order on motion to strike. The court considers anew plaintiffs’ arguments under the standard applicable to the instant motion for summary judgment. Summary judgment is appropriate where an examination of the pleadings, affidavits, and other discovery materials properly before the court demonstrates “that there is no genuine dispute as to any material fact and the movant is entitled to judgment as a matter of law.” Fed. R. Civ. P. 56(a); see also Anderson v. Liberty Lobby, Inc., 477 U.S. 242, 247-48, 106 S. Ct. 2505, 91 L. Ed. 2d 202 (1986) (holding that a factual dispute is “material” only if it might affect the outcome of the suit and “genuine” only if there is sufficient evidence for a reasonable jury to find for the non-moving party). The party seeking summary judgment “bears the initial responsibility of informing the district court of the basis for its motion, and identifying those portions of [the record] which it believes demonstrate [*9] the absence of a genuine issue of material fact.” Celotex Corp. v. Catrett, 477 U.S. 317, 323, 106 S. Ct. 2548, 91 L. Ed. 2d 265 (1986). Once the moving party has met its burden, the non-moving party must then “set forth specific facts showing that there is a genuine issue for trial.” Matsushita Elec. Indus. Co. v. Zenith Radio Corp., 475 U.S. 574, 586-87, 106 S. Ct. 1348, 89 L. Ed. 2d 538 (1986). There is no issue for trial unless there is sufficient evidence favoring the non-moving party for a jury to return a verdict for that party. Anderson, 477 U.S. at 250. In making this determination, the court must view the inferences drawn from the underlying facts in the light most favorable to the nonmoving party. United States v. Diebold, Inc., 369 U.S. 654, 655, 82 S. Ct. 993, 8 L. Ed. 2d 176 (1962). Defendant’s motion for summary judgment rests on its argument that the Liability Waiver bars plaintiffs’ claims. As detailed in the court’s August 2011 Order on plaintiffs’ motion to strike, liability waivers are generally enforceable under North Carolina law.4 See Kelly v. United States, 809 F. Supp. 2d 429, 433 (E.D.N.C. 2011) (citing Hall v. Sinclair Refining Co., 242 N.C. 707, 709, 89 S.E.2d 396 (1955)). Moreover, because plaintiff Morgan Kelly is a minor and has disaffirmed her waiver by filing complaint, her own waiver is unenforceable under North Carolina law. See id. at 434 (citing Baker v. Adidas Am., Inc., 335 F. App’x 356, 359 (4th Cir. 2009); Creech v. Melnik, 147 N.C. App. 471, 475, 556 S.E.2d 587 (2001); Freeman v. Bridger, 49 N.C. 1 (1856)). 4 In actions under the FTCA, “federal courts apply the substantive law of the state in which the act or omission giving rise to the action occurred.” Myrick v. United States, 723 F.2d 1158, 1159 (4th Cir. 1983). Because the alleged act or omission giving rise to the action occurred in North Carolina, [*10] North Carolina law governs the nature and extent of the government’s liability for plaintiffs’ injuries. It does not appear that North Carolina courts have ruled on whether a liability waiver signed by a parent on behalf of a minor child is enforceable, yet numerous courts in other jurisdictions have upheld pre-injury liability waivers signed by parents on behalf of minors in the context of litigation filed against schools, municipalities, and clubs providing activities for children. See, e.g., Gonzalez v. City of Coral Gables, 871 So. 2d 1067, 1067-68 (Fla. Dist. Ct. App. 2004); Sharon v. City of Newton, 437 Mass. 99, 106-12, 769 N.E.2d 738 (2002); Zivich v. Mentor Soccer Club, Inc., 82 Ohio St. 3d 367, 374, 1998 Ohio 389, 696 N.E.2d 201 (1998); Hohe v. San Diego Unified Sch. Dist., 224 Cal. App. 3d 1559, 1564-65, 274 Cal. Rptr. 647 (1990). In its August 2011 Order the court held that North Carolina would similarly uphold a pre-injury waiver executed by a parent on behalf of a minor child in the context of the facts alleged here. Kelly, 809 F. Supp. 2d at 437. Now on plaintiffs’ motion for summary judgment, the court continues to find that these cases are analogous to the circumstances here, where the facilities and instruction of the NJROTC program were provided at no expense and students were charged only for personal purchases from the Post Exchange and for meals at discount rate. 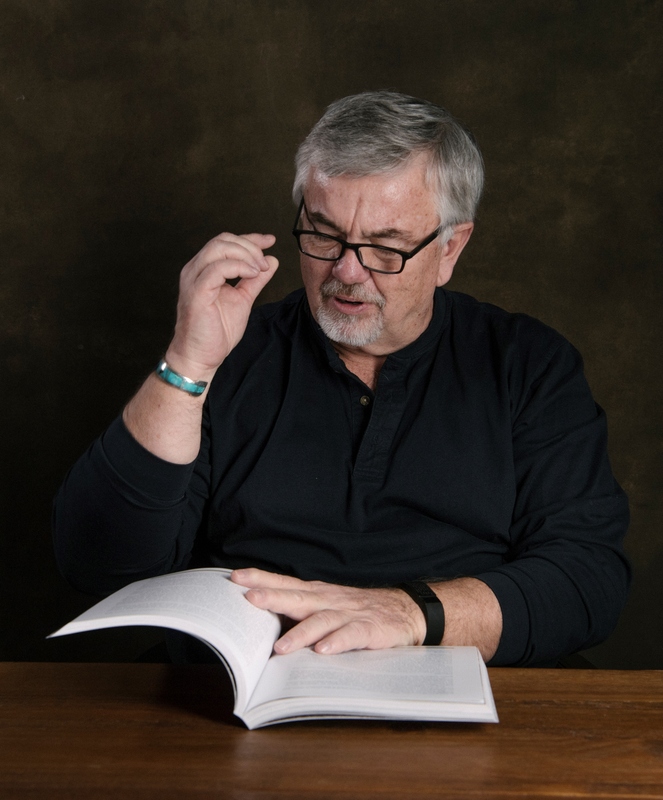 5 Exculpatory clauses or contracts are also not enforceable when the provisions violate a statute, or are gained through inequality of bargaining power. McMurray, 551 F. App’x at 653; Hall, 242 N.C. at 709-10. The August 2011 Order rejected plaintiffs’ arguments that these two factors applied to the Liability Waiver. Kelly, 809 F. Supp. 2d at 434, n. 6. Plaintiffs have not raised those arguments again here. In McMurray, the plaintiff, a high school guidance counselor, completed a release of liability form in order to attend a workshop for educational professionals hosted by the Marine Corps at its facility on Parris Island, South Carolina. Id. at 652. The document released the government from any injuries arising out of participation in the workshop, including “riding in government-provided transportation (to include transportation to and from the Educator’s Workshop. )” Id. The [*12] plaintiff subsequently was injured when the Marine recruiter who drove her to the workshop ran a red light and collided with another car. Id. Noting the numerous statutes, regulations and cases governing public roads in North Carolina, the court determined that the state had a “strong public-safety interest in careful driving and the observance of all traffic-related rules and regulations.” Id. at 654. The court concluded that allowing the government to be released from the duty to use reasonable care when driving would violate that policy, and accordingly held the release unenforceable under North Carolina law. Id. at 656. Plaintiffs argue that the Liability Waiver is contrary to an “equally compelling interest,” in this case being, “the obligation of the government to exercise reasonable care for the safety of minor school children participating in a congressionally-sanctioned (and funded) JROTC program.” (Pls.’s Mem. in Opp. at 20). Protecting the safety of minor school children in programs like JROTC (and NJROTC) is undoubtedly a matter of public interest. However, this case also involves a countervailing public interest in facilitating JROTC’s provision of non-commercial services to children on a [*13] voluntary basis without the risks and overwhelming costs of litigation. The public’s interest in the benefits provided by JROTC programs is embodied in federal statutes and regulations governing these programs’ purpose and administration, which set forth such objectives as instilling in students “the values of citizenship, service to the United States, and personal responsibility and a sense of accomplishment,” 10 U.S.C. § 2031(a)(2), along with imparting other benefits such as good communication skills, an appreciation of physical fitness, and a knowledge of basic military skills. 32 C.F.R. § 542.4. Moreover, North Carolina has demonstrated a public interest in the non-commercial provision of educational or recreational activities, by enacting statutes such as the recreational use statute, N.C. Gen. Stat. § 38A-4, which encourages landowners to allow public use of their land without charge for educational or recreational purposes by limiting their duty of care to that of refraining from willful or wanton infliction of injury. The cases from other jurisdictions which have upheld liability waivers such as the one at issue here have concluded that the public is best served when risks or costs of litigation regarding such programs are minimized. [*14] See Zivich, 82 Ohio St. 3d at 372 (“[W]e conclude that although [plaintiff], like many children before him, gave up his right to sue for the negligent acts of others, the public as a whole received the benefit of these exculpatory agreements. Because of this agreement, the Club was able to offer affordable recreation and to continue to do so without the risks and overwhelming costs of litigation.”); Hohe, 224 Cal. App. 3d at 1564 (“The public as a whole receives the benefit of such waivers so that groups such as Boy and Girl Scouts, Little League, and parent-teacher associations are able to continue without the risks and sometimes overwhelming costs of litigation. Thousands of children benefit from the availability of recreational and sports activities.”). Courts have also found that such releases serve the public interest by respecting the realm of parental authority to weigh the risks and costs of physical injury to their children against the benefits of the child’s participation in an activity. Sharon, 437 Mass. at 109; Zivich, 82 Ohio St. 3d at 374. Likewise, North Carolina has recognized a public interest in respecting parents’ authority over certain life decisions for their children. See Doe v. Holt, 332 N.C. 90, 97, 418 S.E.2d 511 (1992) (“[R]easonable parental decisions concerning children should [not] be reviewed in the courts of this state. Such decisions [*15] make up the essence of parental discretion, discretion which allows parents to shape the views, beliefs and values their children carry with them into adulthood. These decisions are for the parents to make, and will be protected as such.”). The court remains persuaded by the analysis of those courts upholding liability waivers signed by parents in the context of litigation against schools, municipalities and clubs, which either implicitly or explicitly found the risk presented by such waivers to be outweighed by interests in providing non-commercial activities and respecting parental authority. See Sharon, 437 Mass. at 105 (“In weighing and analyzing [plaintiff’s] public policy arguments, we must also consider other important public policies of the Commonwealth implicated in the resolution of this issue . . . .); Zivich, 82 Ohio St. 3d at 370-71 (“[T]he proper focus is not whether the release violates public policy but rather that public policy itself justifies the enforcement of this agreement.”). Plaintiffs’ reliance on McMurray is misplaced. The public interest considered in that case, careful driving and observance of traffic rules and regulations, is not at issue here. Nor did that case address whether any contrary public interest was at [*16] stake which might justify the waiver. Plaintiffs argue that other cases upholding liability waivers signed by parents on behalf of their children are not applicable in this case, because the claims here are directed against the United States and because the JROTC is not a community-based or volunteer-run activity. They note that the officials conducting the orientation visit acted as paid servants of the United States. They argue that the economic considerations at issue in cases from other jurisdictions are not applicable here, where the United States government is self-insured and has waived its immunity. However, none of these arguments are persuasive. First, neither the defendant’s status as a government body, nor the volunteer status of a program’s personnel, are controlling factors in the analysis. In Sharon, the court upheld a liability waiver in the context of a suit against the city government for a cheerleading program coached by a public school employee, not a volunteer. Sharon, 437 Mass. at 100. Furthermore, the JROTC program is community-based, in that schools must apply for a unit, 10 U.S.C. § 2031(a)(1), and may decide to eliminate the program from their curriculum. See Esquivel v. San Francisco Unified Sch. Dist., 630 F. Supp. 2d 1055 (N.D. Cal. 2008). In this way, JROTC programs are run in cooperation [*17] with the community, and rely on the community for support. In turn, JROTC programs promote the community welfare by instilling the values and benefits noted above in the community’s children. Finally, the mere fact that the United States has waived its sovereign immunity through the FTCA does not mean that it should be denied the use of a waiver that other non-governmental volunteer or non-profit organizations could employ. On the contrary, the FTCA only makes the United States liable “in the same manner and to the same extent as a private individual under like circumstances.” 28 U.S.C. § 2674. It is clear that the July 2007 NJROTC orientation program was offered with a noncommercial purpose, and that students attended voluntarily. Because a liability waiver signed by a parent would be enforceable by a private person offering a non-commercial, voluntary activity of this nature, the United States should also be able to use a parent-signed liability waiver for the noncommercial, voluntary NJROTC orientation visit. See Sharon, 437 Mass. at 111-12 (holding that Massachusetts Tort Claims Act (“MTCA”) would not prevent municipalities from using liability waivers as a precondition for participation in voluntary activities that they [*18] sponsored, because the MTCA gave such municipalities the same defenses as private parties in tort claims). Aside from their public policy argument, plaintiffs contend that advance court approval is necessary for a parent to extinguish a minor’s personal injury claim. However, their argument is little more than an abbreviated version of their previous argument supporting their motion to strike. The cases they cite do not address the specific circumstances here, of a pre-injury liability waiver in the context of a non-commercial activity provided to children on a voluntary basis. For instance, plaintiffs quote from Justice White’s concurring opinion in International Union v. Johnson Controls, Inc., 499 U.S. 187, 111 S. Ct. 1196, 113 L. Ed. 2d 158 (1991), which recognized that “the general rule is that parents cannot waive causes of action on behalf of their children . . . .” (Pls’. Mem. in Opp. at 21) (quoting Int’l Union, 499 U.S. at 213-14.). The context of this quote was the concurring opinion’s speculation as to a potential justification for an employer’s fetal-protection policy, as a means of avoiding claims brought by children for injuries caused by torts committed prior to conception. Int’l Union, 499 U.S. at 212-14. This is far different than a pre-injury waiver for a non-commercial activity provided to children on a voluntary basis, where [*19] the activity does not generate its own profits and the benefits of the waiver extend to the entire community. Moreover, as the quote itself shows, the rule against parental waivers is only “general.” Id. at 213. Plaintiffs also cite to the North Carolina cases of Sell v. Hotchkiss, 264 N.C. 185, 191, 141 S.E.2d 259 (N.C. 1965) and Creech, 147 N.C. App. at 475, neither of which involved non-commercial, voluntary activities like the NJROTC program. Moreover, both of these cases involved post-injury liability waivers. Concerns underlying courts’ reluctance to allow parents to dispose of childrens’ existing claims, such as the concern that the hardships posed by caring for an injured child will lead the parents to act for their own financial interest, or that the parents will be more vulnerable to fraud or coercion in such circumstances, are mitigated in the pre-injury release context. See Zivich, 82 Ohio St. 3d at 373. The cases from other jurisdictions noted above, where liability waivers signed by parents were upheld, did not require prior court approval for those waivers. E.g. Gonzalez, 871 So. 2d at 1067-68; Sharon, 437 Mass. at 106-12; Zivich, 82 Ohio St. 3d at 374; Hohe, 224 Cal. App. 3d at 1564-65. Further, as a practical matter, requiring prior court approval would seriously encumber the process for participation in non-commercial, educational activities such as the NJROTC program. Such prior approval is not required. Having [*20] affirmed that a liability waiver is not unenforceable in the abstract, analysis turns to the particular agreement itself. First, plaintiffs argue that this Liability Waiver should not be enforced because the parties did not reach a “meeting of the minds,” alleging that plaintiff Pamela Kelly believed she was signing the form for plaintiff Morgan Kelly’s twin sister, Magan. A release from liability is subject to avoidance by showing that its execution resulted from mutual mistake. George v. McClure, 266 F. Supp. 2d 413, 418 (M.D.N.C. 2001); see also Marriott Fin. Servs., Inc. v. Capitol Funds, Inc., 288 N.C. 122, 136, 217 S.E.2d 551 (1975). However, a unilateral mistake, unaccompanied by fraud, imposition, undue influence or like circumstances is insufficient to avoid a contract. Marriott Fin. Servs., 288 N.C. at 136. Plaintiffs do not argue that defendant mistakenly believed that the Liability Waiver, to which plaintiff Morgan Kelly admittedly signed her own name, was intended to cover Magan Kelly. Nor do they argue that the government acted in a fraudulent manner or that other like circumstances were present. They have shown no more than a unilateral mistake. 6 The court notes that defendant did not raise the defense of estoppel in its answer. Generally, estoppel is an affirmative defense that should be raised in the pleadings under Federal Rule of Civil Procedure 8(c). Fed. R. Civ. P. 8(c); Simmons v. Justice, 196 F.R.D. 296, 298 (W.D.N.C. 2000). However, “[I]f an affirmative defense is raised in a manner that does not result in unfair surprise to the opposing party, failure to comply with Rule 8(c) will not result in waiver of the defense.” Simmons, 196 F.R.D. at 298 (quoting United States v. Cook, No. 94-1938, 1995 U.S. App. LEXIS 24342, 1995 WL 508888 (4th Cir. Aug. 29, 1995)). The requirement of pleading [*22] an affirmative defense may be waived if evidence of the defense is admitted into the record without objection. Caterpillar Overseas, S.A. v. Marine Transp. Inc., 900 F.2d 714, 725, n. 7 (4th Cir. 1990). “Courts have been more lenient in the context of motions for summary judgment.” Grunley Walsh U.S., LLC v. Raap, No. 1:08-CV-446, 2009 U.S. Dist. LEXIS 38609, 2009 WL 1298244, at *5 (E.D. Va. May 6, 2009). The defense of quasi-estoppel was raised in defendant’s memorandum supporting summary judgment, and plaintiffs did not object to the defense in their memorandum in opposition. In this instance, no unfair surprise exists and defendant may assert this defense. Zivich provides a helpful illustration of what constitutes “acceptance” of the benefits of a liability waiver in the context of non-commercial, voluntary recreational activities. Zivich, 82 Ohio St.3d at 375. There, the court held that a mother’s execution of a release would bar the claims of her husband for their son’s soccer practice injury. Id. The court noted that the father “was the parent who was at the practice field” on the evening of that the injury occurred. It held that his “conduct convey[ed] an intention to enjoy the benefits of his wife’s agreement and be bound by it.” Id. Here, the benefits of the Liability Waiver for plaintiff Pamela Kelly consisted of her daughter’s participation in the NJROTC orientation program, [*23] with the attendant benefits of introducing her to the culture, skills, and values that the NJROTC seeks to impart. By accepting the benefit of her child’s attendance at the orientation session, knowing that a liability waiver was required for attendance, plaintiff Pamela Kelly cannot now disavow the effect of the instrument she signed that allowed her child to attend. As a contract, the Liability [*24] Waiver is subject to the recognized rules of contract construction. Adder v. Holman & Moody, 288 N.C. 484, 492, 219 S.E.2d 190 (1975). “The heart of a contract is the intention of the parties,” which “must be determined from the language of the contract, the purposes of the contract, the subject matter and the situation of the parties at the time the contract is executed.” Id. Liability waivers are disfavored under North Carolina law, and strictly construed against the parties seeking to enforce them. Hall, 242 N.C. at 709. However, when the language is clear and unambiguous, construction of the agreement is a matter of law for the court, and the court cannot look beyond the terms of the contract to determine the parties’ intent. Root v. Allstate Ins. Co., 272 N.C. 580, 583, 158 S.E.2d 829 (1968). In an analogous case, Waggoner v. Nags Head Water Sports, Inc., No. 97-1394, 1998 U.S. App. LEXIS 6792, 1998 WL 163811 (4th Cir. April 6, 1998), the plaintiff rented a jet ski from the defendant, signing a rental agreement in which she “assume[d] all risk of accident or damages to my person . . . which may be incurred from or be connected in any manner with my use, operation or rental of the craft checked above.” 1998 U.S. App. LEXIS 6792, [WL] at *1. Plaintiff alleged that she did not understand that the form allowed defendant to escape liability for negligence. Id. Nevertheless, the court held that the clear and unambiguous language of the clause would bar her claim. 1998 U.S. App. LEXIS 6792, [WL] at *3-4. Here, the Liability Waiver states [*25] in clear and unambiguous language that it is made “[i]n consideration of the privilege of participating in an organized event in a training area at Camp Lejeune,” and that it serves to waive “any and all rights and claims . . . including those attributable to simple negligence . . . which said injuries arise out of my participation in the activities comprising the aforesaid event; as well as any use by me of any Marine Corps Base, Camp Lejeune, North Carolina, or government equipment or facilities in conjunction with and furtherance of such participation by me.” (DE 94-3). As such, the waiver provides ample notice to plaintiffs of the potential for a wide range of activities at the event, not limited in any way to marching, drills, or “ground-based physical fitness training.” Plaintiffs do not allege that they were affirmatively misled as to the nature of the activities that would comprise the event, or that they were prevented from inquiring into the activities or the associated risks. They have not provided any reason for the court to look beyond the language clearly and unambiguously covering the circumstances of plaintiff Morgan Kelly’s injury. 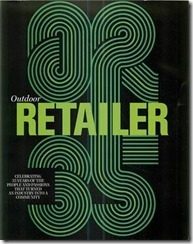 See Root, 272 N.C. at 583; Waggoner, 1998 U.S. App. LEXIS 6792, 1998 WL 163811 at *3-4; see also Kondrad v. Bismarck Park Dist., 2003 ND 4, 655 N.W. 2d 411, 413-14 (N.D. 2003) (Waiver language relinquishing [*26] all claims for injuries that would occur “on account of my participation of [sic] my child/ward in this program” exonerated park district from liability, even though child’s accident occurred during activity that was not “associated with the program;” language of waiver and release was “clear and unambiguous,” and “not limited only to injuries incurred while participating in activities associated with the program, but to all injuries incurred by the child on account of his participation in the program.”). Plaintiffs also argue that summary judgment should be denied because plaintiff Morgan Kelly has disaffirmed it (by filing complaint) and because the Liability Waiver does not include express language waiving plaintiff Pamela Kelly’s claims on behalf of herself and her child. As noted above, the Liability Waiver refers to “my participation” in the “organized event” and states “I understand that, should I decline to execute this agreement, I will not be permitted to attend the organized event.” (DE 94-3, at 1). This issue, too, was addressed in the court’s order on plaintiffs’ motion to strike. Kelly, 809 F. Supp. 2d at 434-37. There, the court held that, despite plaintiff Morgan Kelly’s disaffirmation of the Liability [*27] Waiver, the document was nevertheless enforceable as signed by her parent. Id. Although the language of the Liability Waiver was written from plaintiff Morgan Kelly’s perspective, its plain language nevertheless stated that “I, the undersigned person, intending to be legally bound, hereby promise to waive for myself, my guardians, heirs, executor, administrators, legal representatives and any other persons on my behalf . . . .” Id. at 438, n. 8. Plaintiffs cite cases from other jurisdictions enforcing liability waivers signed by parents in which the waiver was tailored from the perspective of the signing parent. Hamill v. Cheley Colo. Camps, Inc., 262 P. 3d 945, 948 (Colo. App. 2011) (“I, on behalf of myself and my child, hereby release . . .”); Sharon, 437 Mass. at 100-01 (“[I] the undersigned [father of] . . . a minor, do hereby consent to [her] participation in voluntary athletic programs and do forever RELEASE . . . all claims or right of action for damages which said minor has or hereafter may acquire.”). Yet plaintiffs have not cited any case holding that a form such as that used here, which expressly waives both the claims of the child and her guardians, and which is signed by one of those guardians, cannot be enforced against the guardian who signed it. The court again holds that the Liability [*28] Waiver is enforceable to bar the claims of both Morgan and Pamela Kelly. The question remains whether the Liability Waiver is effective against the claims of plaintiff Terry Kelly, who did not sign the document, and denies ever seeing it prior to plaintiff Morgan Kelly’s orientation visit. (T. Kelly Decl. ¶ 14). Defendant nevertheless argues that plaintiff Terry Kelly’s claims should also be barred, asserting the doctrine of quasi-estoppel described above. As noted above, quasi-estoppel is applied when a party “accepts a transaction or instrument and then accepts benefits under it may be estopped to take a later position inconsistent with the prior acceptance of that same transaction or instrument.” Whitacre P’ship, 358 N.C. at 18. The doctrine faces problems in application to the Liability Waiver, however, where defendant has not directed the court to evidence that plaintiff Terry Kelly knew of the Liability Waiver or its terms. I, Terry A Kelly, being the legal parent/guardian of Morgan Kelly, a member of the Naval Junior Reserve Officers Training Corps, in consideration of the continuance of his/her membership in the Naval Junior Reserve Officers Training Corps training, do hereby release from any and all claims, demands, actions, or causes of action, due to death, injury, or illness, the government of the United States and all its officers, representatives, and agents acting officially and also the local, regional, and national Navy Officials of the United States. In the paragraph quoted above, the names of plaintiffs Terry and Morgan Kelly are written by hand. Plaintiff Terry Kelly’s declaration provides that page 2 “appears to contains [sic] my handwriting, but I would have to see the original to be certain.” (T. Kelly Decl. at ¶ 16). Plaintiffs Terry and Pamela Kelly have attempted to challenge the Release Form, stating that they “do not believe that Document No. 94-4 is a genuine document.” In particular, they note that the front page, referenced as page 2 (the certification is appended [*30] as the first page of this filing), is identified as standard form “CNET 5800-4 (Rev. 1-00)” while the final page of the document, which includes a privacy act notification under which plaintiff Pamela Kelly’s name is signed, is identified as “CNET – General 5800/4 (REV. 1-95).” (DE 94-4 at 3; T. Kelly Decl. at ¶ 16; P. Kelly Decl. at ¶ 16). Like her husband, plaintiff Pamela Kelly declares that the writing on page 3 “looks like my signature, but I would need to see the original to be certain.” (P. Kelly Decl. at ¶ 16). She states that she does “not know when Page 3 of 3 was signed or for what purpose.” (Id.). to have until May 1, 2011, at their option, to visually inspect any original release and/or waiver document or documents relied upon by defendant at defendant’s counsel’s office. This deadline is without prejudice to plaintiffs’ right to have such document or documents examined by experts at a later date, if they deem necessary. (April 27, 2011, order, p.1, DE 19). It appears plaintiffs reviewed the Liability Waiver at defendant’s counsel’s office, but not the Release Form. (T. Kelly Decl. at ¶ 15; [*31] P. Kelly Decl. at ¶ 15). No separate request to review was made. 7 To the extent plaintiffs’ challenge is an attack on the document’s authentication under Federal Rules of Evidence 901 and 902, it still fails to create a genuine issue of material fact. A party may show the existence of a genuine dispute of material fact by objecting “that the material cited to support or dispute a fact cannot be presented in a form that would be admissible in evidence.” Fed. R. Civ. P. 56(c)(2). However, the Certificate of Authenticity signed by the school district’s Compliance Officer satisfies the court that this document could be made admissible in evidence at trial. 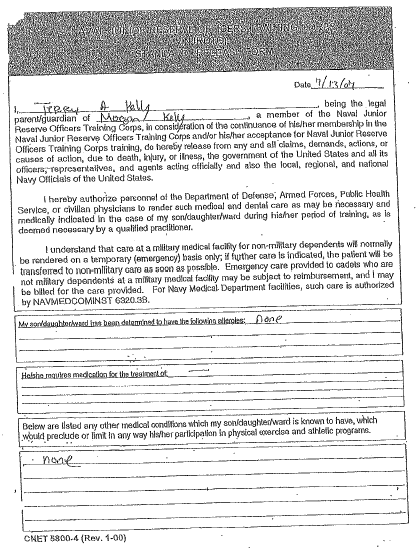 The document therefore shows plaintiff Terry Kelly’s acceptance of a transaction whereby his claims were released “in consideration of” plaintiff Morgan Kelly’s continued participation in NJROTC training activities. The Release Form refers to “any and all claims.” In Waggoner, the court held that “the term ‘all claims’ must doubtless include a claim for negligence.” Waggoner, 1998 U.S. App. LEXIS 6792, 1998 WL 163811, at *4. See also Young v. Prancing Horse, Inc., No. COA04-727, 2005 N.C. App. LEXIS 1108, 2005 WL 1331065, at *2 (N.C. App. June 7, 2005) (“[W]e cannot agree with plaintiff [*33] that the absence of the word ‘negligence’ makes the release inoperable to bar this claim . . . . With all due regard to the severity of the injuries suffered by plaintiff, they are of the type contemplated and intended by this release.”). “[A] party will not be allowed to accept benefits which arise from certain terms of a contract and at the same time deny the effect of other terms of the same agreement.” Brooks v. Hackney, 329 N.C. 166, 173, 404 S.E.2d 854 (1991). In Brooks, the court determined that even though an agreement to convey real property was invalid because its terms were not sufficiently definite, the plaintiff was estopped from denying its validity because he had made regular payments on the agreement, and therefore that the defendants reasonably relied on the writing. Id. at 171-73. The same principle operates here, where plaintiff Terry Kelly signed a Release Form surrendering claims related to his daughter’s participation in NJROTC training, then allowed his daughter to attend a NJROTC training orientation visit. On the evidence, there is no genuine issue that plaintiff Terry Kelly accepted that plaintiff Morgan Kelly’s “membership in the Naval Junior Reserve Officers Training Corps training,” included the orientation visit. In consideration of this training, including the orientation visit, he released “claims, demands, actions, or causes of action, due to . . . injury.” Defendant reasonably relied on plaintiff Terry Kelly’s writing, in addition to his acquiescence to his [*35] daughter’s attendance at the orientation visit. Plaintiff Terry Kelly cannot be allowed to accept the benefits of the Release Form through his daughter’s attendance, while at the same time denying the release that was required as a condition of that attendance. With all of plaintiffs’ claims disposed by waiver and release, summary judgment must be granted. For the reasons set forth above, the court GRANTS defendant’s motion for summary judgment. (DE 93). The clerk is DIRECTED to close this case. SO ORDERED, this the 25th day of September, 2014. In consideration of the privilege of participating in an organized event in a training area at Camp Lejeune, North Carolina, and further recognizing the voluntary nature of my participation in this event, I, the undersigned person, intending to be legally bound, hereby promise to waive for myself, my guardians, heirs, executor, administrators, legal representatives and any other [*36] persons on my behalf, any and all rights and claims for damages, demands, and any other actions whatsoever, including those attributable to simple negligence, which I may have against any of the following persons or entities: the United States of America; the Depart of Defense; the Department of the Navy; the United States Marine Corps; Marine Corps Base, Camp Lejeune, North Carolina; any and all individuals assigned to or employed by the United States, including but not limited to the Secretary of Defense; the Secretary of the Navy; the Commandant of the Marine Corps; Commanding General, Marine Corps Base, Camp Lejeune, North Carolina; in both their official and personal capacities; any medical support personnel assigned thereto; and these, persons’ or entities’ representatives, successors, and assigns; which said injuries arise out of my participation in the activities comprising the aforesaid event; as well as any use by me of any Marine Corps Base, Camp Lejeune, North Carolina, or government equipment, or facilities in conjunction with and furtherance of such participation by me. I FURTHER VERIFY THAT I HAVE FULL KNOWLEDGE OF THE RISKS ASSOCIATED WITH ATTENDING THIS EVENT. I EXPRESSLY, [*37] KNOWINGLY, AND VOLUNTARILY ASSUME THE RISKS INVOLVED IN THE PLANNED ACTIVITIES INCLUDING TRANSPORTATION TO AND FROM THE EVENT, AND AGREE TO HOLD THE UNITED STATES HARMLESS FOR ANY RESULTING INJURY. I understand that this assumption of risk agreement shall remain in effect until notice of cancellation is received by the Commanding General, Marine Corps Base, Camp Lejeune, North Carolina. I understand that, should I decline to execute this agreement, I will not be permitted to attend the organized event. thereof kept in the normal course of business of the Henry County School System. This Certificate of Authenticity may be used in lieu of the personal appearance of the person certifying hereto.